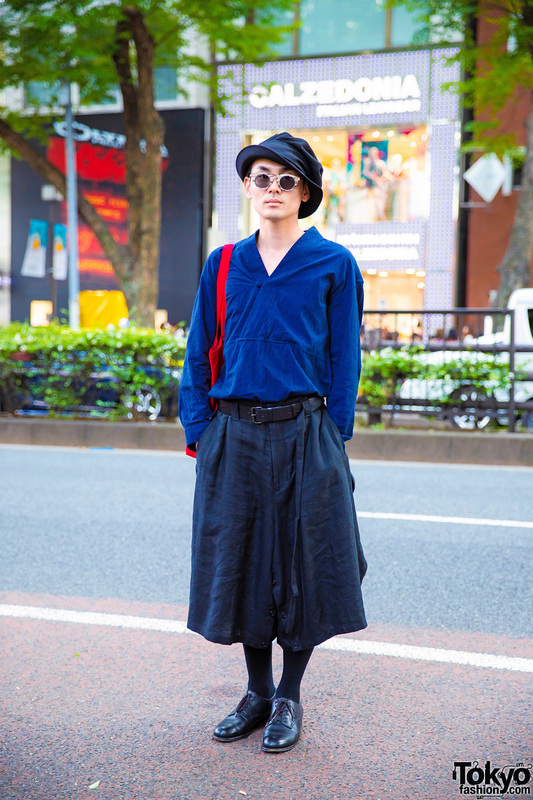 Harajuku guy sporting an all black outfit with blazer over hoodie sweater, cuffed pants, geometric bag and leather buckle shoes. 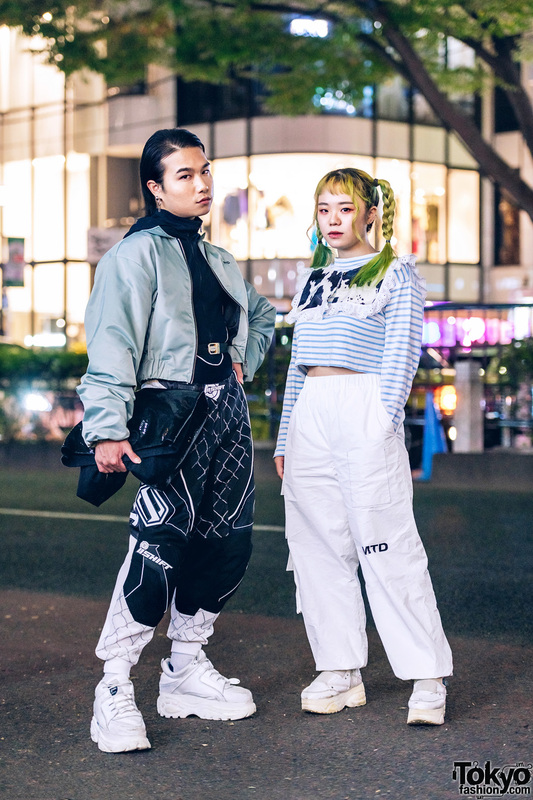 Japanese duo sporting interesting streetwear styles while out and about in Harajuku one evening. Japanese duo sporting plaid and prints streetwear ensembles while out and about on the Harajuku street one evening. Japanese fashion designer sporting a dark-hued look with tunic top, wide leg pants, lace-up shoes, red tote and accessories. 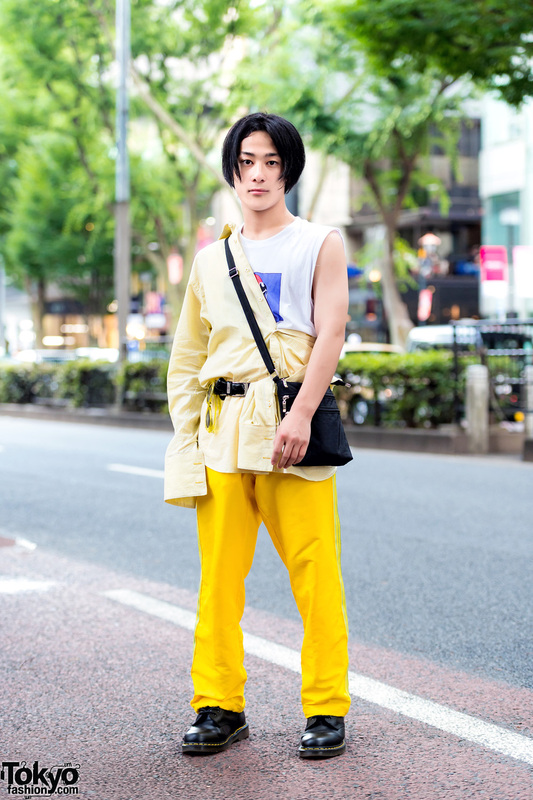 Harajuku guy sporting a yellow-themed streetwear style while out on the street one afternoon. Harajuku guys sporting casual distressed and remake fashion styles while out and about one late afternoon. 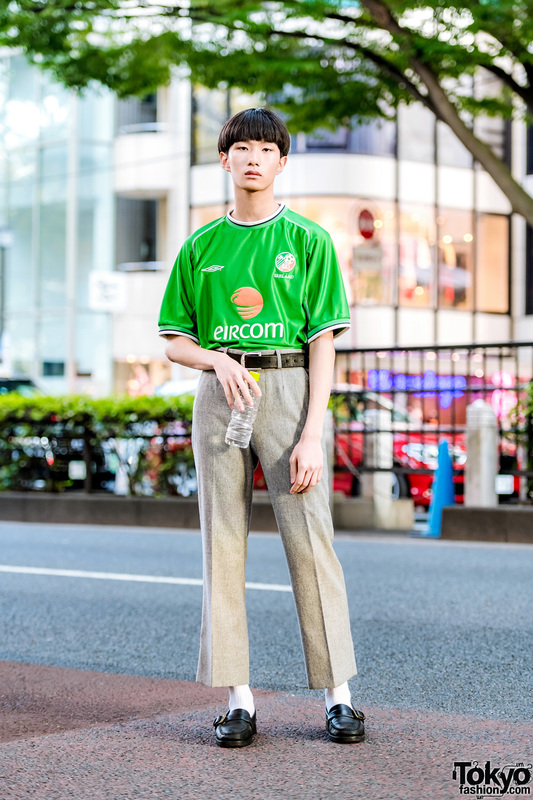 Harajuku guy sporting a blunt bob and a sporty street style with a sports jersey and cropped pants.